Much the same in Italian or Spanish, don't know how to say it in Polish yet. Probably just as well. K. emails that all my books have suddenly vanished from Jae's online bookstore. No surprises there (though I did not really mind one way or the other): I reply, "Bismarck once said: A man is as great as the things he allows to annoy him. Those are small things, far outweighed by the pleasure she gave for three years - by her presence and advice." Miss M., my new "Aryan" assistant who is managing the mail-run back in Key West for the moment, sends a nice picture. If she can learn not to cross her hands on the steering wheel, I shall take her on the spring tour of the US. La donna al volante, peligro constante. Much the same in Italian or Spanish, don't know how to say it in Polish yet. Probably just as well. Today I find myself tottering around the apartment without a stick, occasionally grabbing at a table edge. It is all such a natural development -- like learning to walk all over again. Tom Robertson writes an interesting letter about the Dresden death roll: "I've been told that [you] admitted, in the Lipstadt trial, that between the time he discovered that the "0" had been added to the death toll numbers in the TB47 document and the time [you] wrote the letter to The Times in 1966, [you were] presenting it as support for a 202,000 death toll, knowing it was false, but all I can see from the court transcript is that from the moment [you] realized that the numbers had been exaggerated, [you] admitted as such. Can you enlighten me?" It is an interesting debate and I really ought to prepare a standard reply, as I get many inquiries. First, I have no figure of my own, I am just a free historian, a reporter. I have no axe to grind. I had two brothers in the Royal Air Force who were hauled over the coals by the Ministry when my book came out in 1963. Government files now reveal the attempts the Government made in 1960 to prevent Marshal of the RAF Sir Arthur Harris talking to me (they failed, and he was full of praise for my book). My revelations were an embarrassment for the Churchill family in his last years (he died in 1965). My 1963 figure for the deathroll came initially from Hanns Voigt, an a-political Dresden schoolteacher - his school had been wrecked in the raids and his pupils killed, so the city council had him set up a Deathroll Division (Abteilung Tote) of its Missing Person Bureau; the job was still incomplete when the war ended. He built two indices: missing persons, and bodies found. The latter stank, because of the clothing samples clipped to the file cards. He collected buckets of wedding rings (because of the names engraved inside). He kept a diary. He gave me as his best estimate the figure I ultimately used, 135,000 dead. See the lengths the Lipstadt team went to in the trial to discredit the long-dead Voigt -- a "top Nazi," and the rest. Prof Richard "Skunky" Evans even implied that the Missing Persons Bureau did not exist. In 1966 I received from the Communist archive authorities in Dresden and the German federal republic independently just-found documentary evidence of a lower figure stated by the Dresden police chief early in March 1945. I at once wrote a letter to The Times, drawing attention to this differing figure; they published it on Thursday July 7, 1966 and I had 1,000 copies printed by The Times at my expense to distribute as need arose. I wonder how many conformist historians would do that? Voigt's figure was however broadly and independently confirmed to me by Dr Max Funfack, the city's chief medical officer (then still living in the Soviet zone, and subjected to secret-police harassment for having written to me), and the military commandant of the city, General Mehnert. Fake documents one way or the other did not come into it -- they were glitter-dust flung in the eyes of Mr Justice Gray by Lipstadt's million-dollar lawyers. In 2001 I began preparing a document book for the Appeal against Gray's perverse Lipstadt Judgment, with a section on the Dresden deathroll. (You can find rather more items on my website at http://www.fpp.co.uk/History/General/Dresden/deathroll/index.html). The German Government (and one may suspect that the British had a hand in it) set up a commission of tame historians in recent years to investigate (i.e., shrink) the Dresden deathroll. That alone was a significant victory for me. After due, and no doubt profitable, contemplation, the historians unanimously chorused that the Dresden death-roll was "only" 25,000, which of course was noised with the speed of light around the world. Alas for them all, more recently and since their report, methodically turning the pages of the hundreds of thousands of decoded wartime German and police radio messages for my Himmler biography, I came across an intercepted signal dated March 24, 1945 (above) in which the Lord Mayor of Dresden specifically told the police authorities that as of that date, six weeks after the atrocity, 80 to 100,000 victims were still registered as missing in the district registers set up by the Missing Persons Bureau. "Missing," in those messages, meant dead, incinerated beyond recognition: an earlier telegram had spelled that out. Remember: Entire families of refugees had been consumed by the flames -- "basted" was the word Churchill used -- with nobody to report them missing. My figure was right. Since then the conformist historians have fallen rather silent. "Sorry to have rambled on at length," I concluded, "but had to get it off my chest. One day I won't be around to defend my name." WORK on Himmler is progressing again. I can't deny that these prewar chapters are causing me headaches and they will probably shrink drastically before publication. I thank R of Berlin, Germany, for his comments on chapter 18: He did not like that I called dress and uniform manufacturer Hugo Boss "shrewd" and failed to heap routine criticism on his ilk. Or that I referred to Himmler as "this extraordinary man". He is however an expert on the era and his comments are normally of platinum value. Thanks for those comments [I reply], and you will not be surprised that I have accepted eighty percent of them. . . Of course living inside a defeated Germany [like yourself] one has a different perception of things ("unnecessary whitewash" [of Hugo Boss et al.]). The constant brainwashing by the media is not entirely without effect even on an independent mind like yours! It would probably affect me too. But this biography is being written for the non German world, and for the coming century. It is not being written to appease the Jewish Chronicle's reviewer! We have to understand why Himmler became obsessed with racial purity. I think your 0.1 percent guess of the racial pollution of Germany is wrong (source?) but even 0.1 percent of strychnine or botulism would be enough to finish off a healthy organism. Forgive me for being grouchy, but the pain is to blame. In four weeks I think it will be over. I can already begin to totter round without crutches. I RESUME work on Himmler, the troublesome chapter 19. Computer technology has slowed everything down endlessly. We need somebody in the Indianapolis area to spend an afternoon helping us with the storage units. I send Charles M. this message at 5:18 p.m.
My blonde super-assistant Jae, God bless her little over-strained heart, has left us stuck with a logistics problem, and I hope you can help us out. She quit on December 1 (without notice! 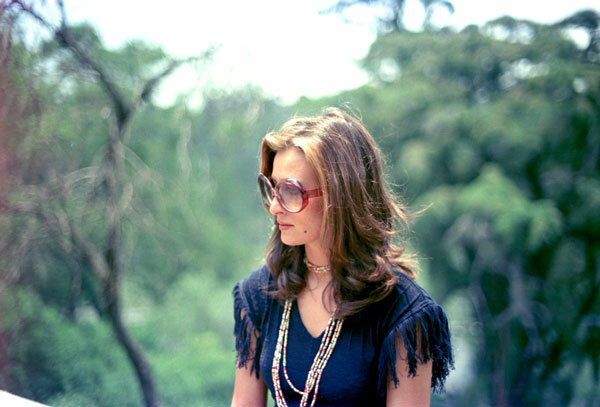 ), absconded to Australia with her new beau and took all the keys of everything with her. That was two months ago. I don't begrudge it to her: that is how women are. We expect it of them. I have found a very good replacement, a lady in Atlanta, who is also one of us. (I have shipped a ton of our basic books to her from England, which arrive in ten days' time, and more from our printers in Nebraska.) But a lot of our inventory is in Indianapolis, a straight scoot down I-65 from you. . . Can I get you to drive down there, open up the three units, and describe roughly to us what is in each? We are losing sales unfortunately until this mess is resolved. ERIK Z. writes from North Carolina about my Radical's Diary and Jae I reply, "I just sent her $6,000 -- twice the back pay she was (belatedly) asking for, including a $1,000 medical bill in Oregon. Some other bug, figuratively speaking, has got into her since, and I think it is without cure. What . . . persuaded her to abscond without notice to Australia, taking all the keys and passwords with her! We have still not been able to access our inventory of books, etc.. A Blonde Moment, I guess. -- I hope to throw away the crutches next week." Hugo asks me to cover some of the costs he is incurring doing research for me in Berlin. No problem now. He urges me to send standard replies to some of the 300 e-mails I get a day, and reminisces about the good old days under Margaret Thatcher. I was working in the Foreign Office at the time when a hypocritical and sanctimonious world was demanding that Britain join them in applying sanctions against white South Africa. Britain at the time was ruled by Margaret Thatcher. She came under pressure from every quarter but steadfastly refused to impose sanctions for all the most common sense reasons¸ including the fact that sanctions would cause most harm to the very people in South Africa we were trying to help. She received over 8,000 letters on the issue from the public, all of which it was my task to read and answer. We managed it by making use of a general fact sheet which answered 95% of the letters and standard paragraphs which we drew upon when individual replies were required. In case you're wondering, 86% of the writers urged Mrs Thatcher to remain firm and ignore the demand for sanctions, 7% were critical and the remaining 7% were unintelligible or so rude that they were binned without further action. To Mrs D.: "I wear the plum cashmere pullover every day now, many thanks. Jessica has asserted rights to one of the others. . . Jessica is over with her mother for four or five days so I've got to be careful not to slip up. Tottered around the apartment all day without a crutch for the first time since the surgery." RÉKA informs me by text that Malév [the Hungarian national airline] went bankrupt two days ago. She sent me a text from Damascus only two nights ago -- evidently her last flight. She and her flight colleagues are very shocked. I mechanically reassure her that a buyer will come along, and if not can I buy her please -- I will fly her often. I try to educate Mrs D., who has used the word "hopefully" wrongly. Proper: "It is better to travel hopefully than to arrive." Improper: "Hopefully the sun will shine tomorrow." -- Americans will never learn. But we all make mistakes. Someone corrects a statement in my last Diary, where I refer to Morris Dees: "You describe Morris Seligman Dees as an ex-Communist Jew, which he certainly is not. He is an extremely rare case of a Southern White American male, totally selling out the interests of his people for money. The name 'Seligman' initially belonged to a Jew that Dees's father was friends with, or something to that effect. Morris Dees is 100percent Southern White. It is even questionable whether Dees believes an iota of what he does. Based on eyewitness accounts, he has the same privately held views on race as the people he fights. He does it all for the incredible amounts of money he made off the SPLC scam. He probably figures, he will make a nice living off the Jews, doing their dirty work. Morris Dees comes first, let his country and people be damned." HUGO reveals he does not like his name (in fact I have half decided to use it for any son I might yet have): "Hugo," he says, "is quite bad enough. I've always disliked the name. Sounds so superior, especially when combined with a double-barrelled surname. Cost me many a bruising at school, that did. Have you noticed how many English villains in Hollywood movies (e.g., Titanic) are called Hugo? Ditto Victorian melodramas." Fred Toben sends me an obituary to Istvan Csurka, the Hungarian rightwinger who allegedly did not love the Jews enough. Did I ever come across him? I reply: "Yes I did, he was one of the braver guys." I add: "Hungary is in turmoil. Yesterday their national airline Malév went belly up, bankrupt, which means my prison-visitor Réka is out of a job." Reminded of which, I write immediately to her again, rather regretting the flippant tone I adopted in my text last night. AN Italian journalist writes tome today: "My name is Giuseppe Lian and I am an Italian freelance journalist. For some years I've been conducting a research about the Hungarian revolution of 1956. My focus is on thirteen Italian journalists and some diplomats that were at the Italian Legation of Budapest in the week from November 4 to 10, 1956. do you know who now has [Ambassador] Fabrizio Franco's diary? is it possible to put in touch with your interpreter Carla Venchiarutti? After my book Uprising was completed I drove to Berne, Switzerland, and donated my entire research files to this archives: Schweizerische Osteuropa Institut in Berne. The director was Peter Gosztony. The address is from 1985, and I do not know if Gosztony is still alive. You will find there my copies of the diary of Fabrizio Franco and other materials including my interview with him. This is just a quick note to confirm we are still searching our data sets for the criteria outlined in your email to DS Matt Gibbs dated 29/06/2011. I can confirm that to date we have not located any evidence of data intrusion but will continue our research. The process is labour intensive and time consuming but I will keep you updated with the results. I thank them dutifully: "You are assured of my complete cooperation any time you need it." Just got back from the hospital. All well, but they have told me how to correct my gait. Nice word that, gait. A VERY restful night, cruising just below the surface of consciousness. Physiotherapist lady told me the added sleepiness is a long-term effect of the anesthesia, which will wear off. Wow. Man lernt nie aus. Nice dreams about Susie T., as I mentally reconstructed the tumultuous events of 1992, twenty years ago, beginning with discovering upon my return from South Africa a beautiful young Danish blonde, B. Høgh, in residence in my apartment at Duke Street. Another very difficult female, but I have never regretted our conjunction, nor has our daughter Jessica; although I did occasionally wish B. would have accepted the piece of paper I have offered her so many times. The Italian researcher Giuseppe tells me: "I read in the Internet that Peter Gosztony died in 1999 but I'm looking for your research files, anyway. 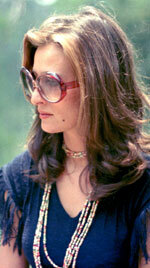 I'm looking for Carla Venchiarutti too, and if I find her I'll write it to you, of course." Today I was able put on my right shoe unaided. Hurra. One small step for mankind. I HAVE resumed work on Himmler and am feeling fit. I change the status on my front page to read: "Hah! The Limp has gone!" For six years, ever since solitary confinement in that tiny prison cell in Vienna, the insidiously growing pain has totally bouleversé my mental horizon. Now it has vanished. Three cheers for the NHS. MRS D. says of Charles M.: "He is a very nice man to help us like this." I agree: "Unbeknownst to Jae, I have a huge reservoir of friends eager to help. Without them . . . she would have 'won,' whatever her little game is." 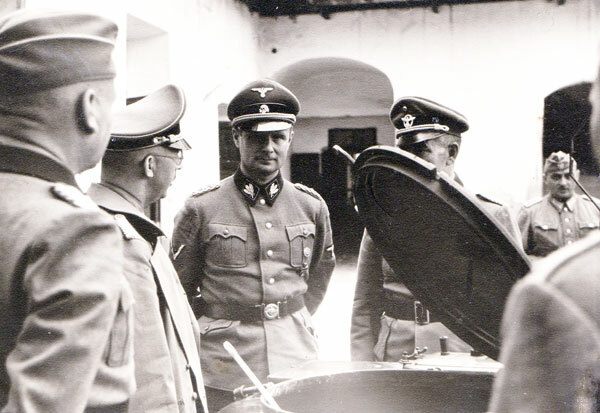 Above: left to right SS Gruppenführer Jeckeln, Himmler, Karl Wolff, in Ukraine, August 1941. "Treachery" by [SS Obergruppenführer Karl] Wolff ? why should he have sacrificed thousands of his men when the war, & certainly the Italian front, was clearly lost ? It was rather an act of patriotism towards his Germans, if "betrayal" of the mad Hitler. And he adds his usual bleat about the Holocaust: "I cannot imagine that most people interested in this book do not primarily want to hear about Himmler's overseeing the mass murder of millions, which you have not gotten to yet. It should have come much sooner." You are incorrigible. You know very well it is coming in huge detail never before narrated from records that I alone have. As for Wolff's treachery: you may be right about the inevitability of defeat, but that was not what he got his pay and medals and rank for; he got those for being a serving office and obeying orders, and not for playing politics. You will find I take a different slant on many things in this book. "But thanks for the comments, which I value especially from you each time." I add: "I have a very clear concept of the way the whole book is to be constructed. It will gradually unfold for you too. PS: I met Wolff, and did not like him. I have hours of tape recording of him chatting with SS guys like Rauff. I have read thousands of pages of transcripts. I still don't like him. I have had two rather unnerving one-hour sleeps during the afternoon, and don't really know why. I DID not hear Jessica return from work at midnight. Mrs D. emails that Charles M. has got into the storage units as we requested. I phone him -- he is hanging around in the bitter cold and snow outside -- and he talks me through the contents and condition of each unit. He said the units were in a colossal mess and chaos. He will email the pics to me from his home, and I will ask him to copy them to you. I am not optimistic that he has actually found the autographed books. Maybe [Jae] has them squirreled away in her office in Y. We are deeply indebted to him for this assistance. His words about [Jae] verged on scathing. There are many things he doesn't know, I said, but I guess he does. 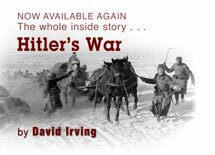 I am grateful to you for making Hitler's War available as a free PDF online. However, I am trying to read it on my iPad, and the PDF format is less than desirable. PDFs are easy to convert into the ePub format (that's viewable on iPad), but all of the numbers in the book come across as blank characters. I have to explain to him: "Yes, the numbers are in an expert font. We are struggling with eBooks at present, and wish 'they' would get their act together. You can download a zip file of an HTML version starting here. I might be able to find a Word file of the book, but I am nervous about letting that out, because the world and its dog thinks it can market PDFs which I have put free on the Internet."